New Brunswick-based trio, Motherhood, takes the term inventive to another level—their fusion of metal, rock, and punk comes together to create something truly out of this world. The band thrives on fashioning infectious instrumentals that draw listeners from every end of the spectrum in. 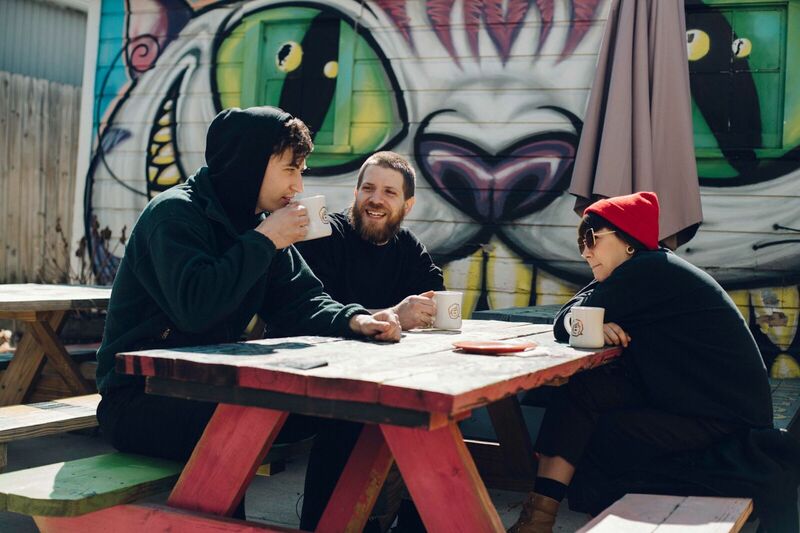 Brydon Crain (guitar, vocals), Penelope Stevens (bass, keys, vocals), and Adam Sipkema (drums) have a chemistry that explodes on everything they produce, as evidenced by their new single “Pick of the Pugs," their first new material since 2016's LP, Baby Teeth. Our first taste of what's to come on their forthcoming album, Dear Bongo, tells the story of a distressed painter—an artist who since recently leaving a relationship, turns to drinking and obsessively creating as a distraction. This album is a conceptual adventure that will undoubtedly take listeners on a joy ride with an artist on his colorful journey through the ups-and-downs of life. Check it out below, and be sure to catch Motherhood on tour when they roll through your town!